I love the look. 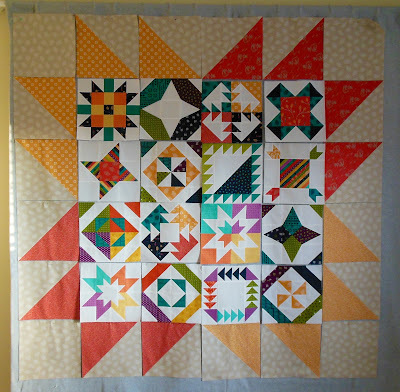 I've been wanting to make a really modern quilt but didn't have a pattern. 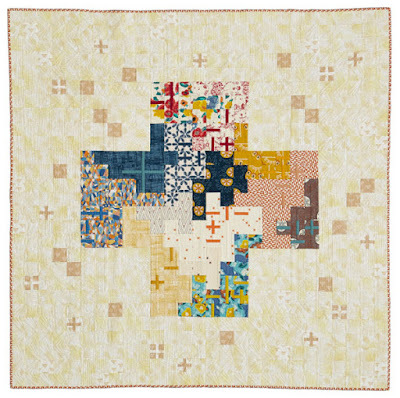 Most of the modern quilts I see at shows or online are one of kinds with no pattern. I was very excited to finally have a pattern to follow. Then I had to make a fabric decision. I decided to go with a combo of Flow and For You by Zen Chic for Moda. This pattern is a breeze to sew, picking out the fabric, it took me hours. 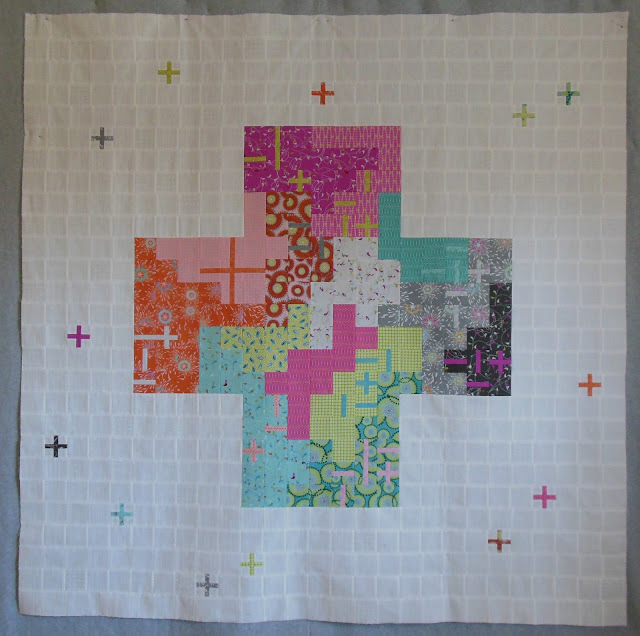 I finally just cut out an assortment of squares and played around with their arrangement on my design wall until I came up with a design that pleased me. Adding the contrasting detail was very easy once I decided on the main fabric. And here it is, all done. It finished at 68" x 68"
It has approximately 931 pieces. I went very conservative not he background fabric since the big plus pattern was pretty bold. 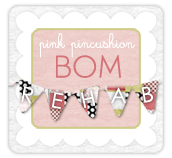 I did use two different white on white prints for the background, it's subtle, but it's there. 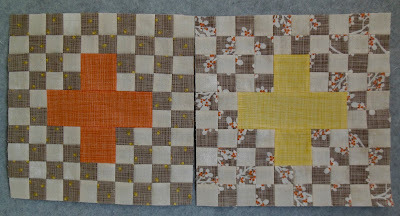 The background fabric is CarKai and Doe by Carolyn Friedlander for Robert Kaufman. There are 2014, 2015 and 2016 projects being added every day. 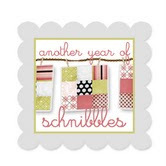 No sewing for me the rest of this week, I'm heading to Quilt Con! I'm so excited, it's the first time I've attended that show. I'm equally excited about the weather, it's unseasonably warm in Pasadena right now, which makes up for the 6 inches of snow I shoveled Sunday! 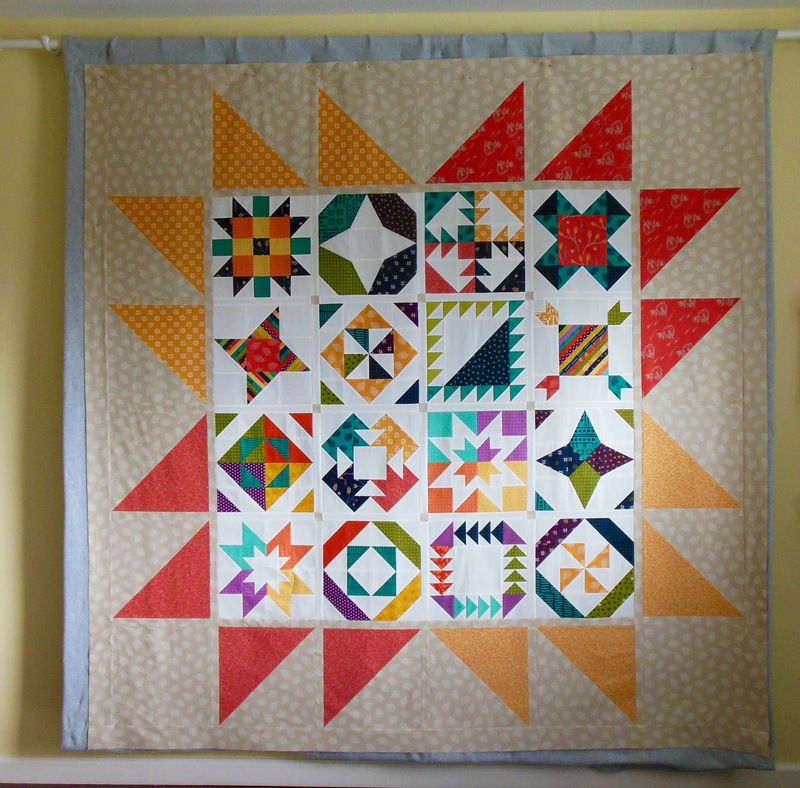 I finished my Bonfire Samper quilt top. 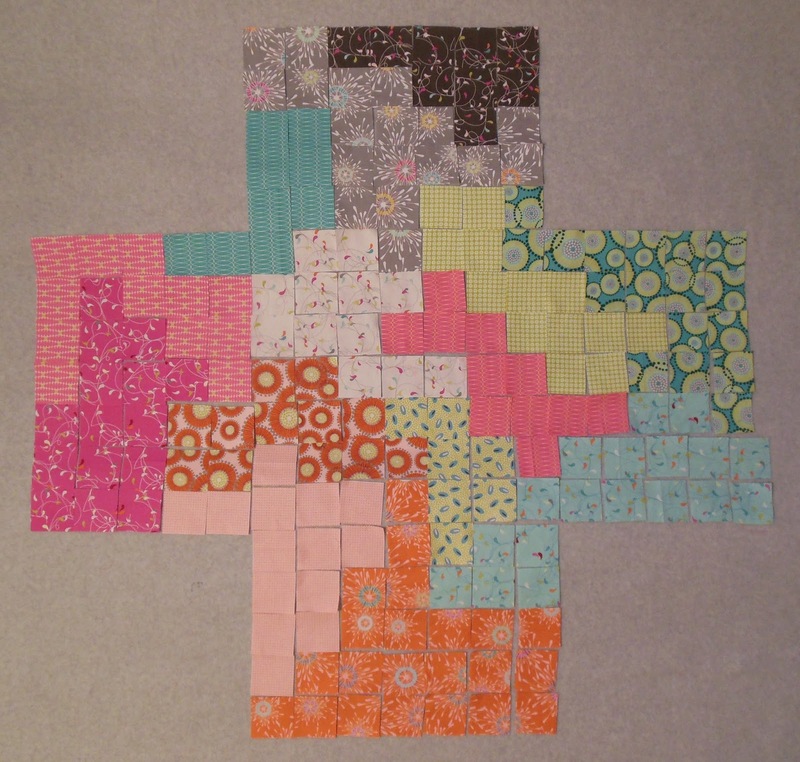 I enjoyed piecing every block. 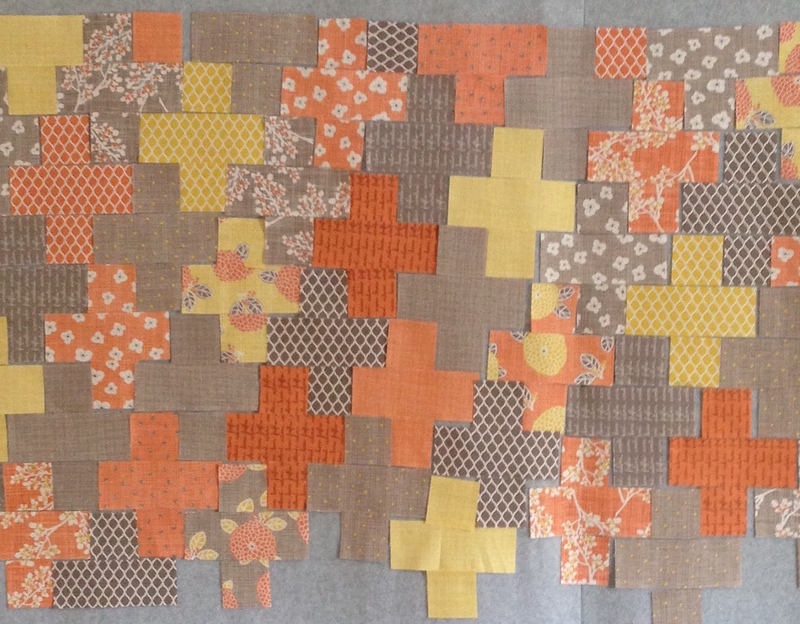 I forget show much I love a good sampler quilt until I start working on one. I fret over every fabric choice for every piece of every block, and enjoy every minute. It's like a little color experiment with each block. 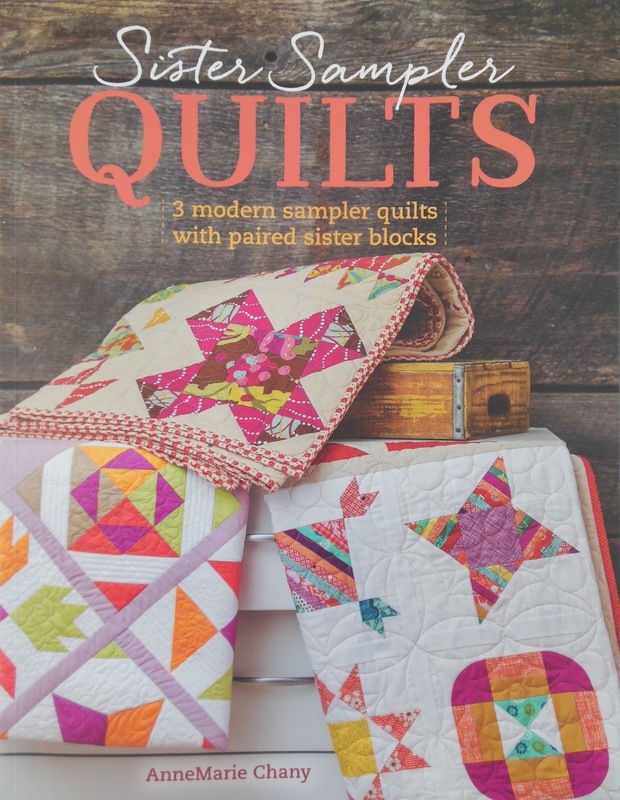 The Sister Sampler Quilts book has three different settings for the sampler blocks. This setting was my favorite, what a simple idea, but it packs a lot of punch. I made one small change, I added cornerstones between the sampler blocks using the same tan fabric from the outer border, to pull that color through the quilt. It finished at 82" x 82"
It has approximately 668 pieces. I recommend this book, it has three great settings for the sampler blocks, a nice variety of sampler blocks, and very nice illustrations and directions. Maybe it would make a nice Valentines Day present! 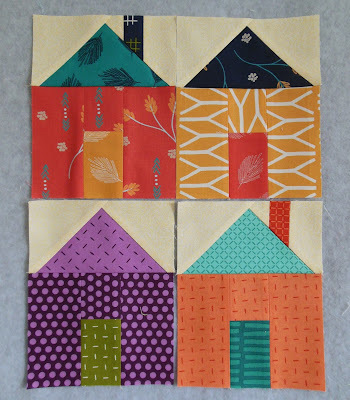 And I continued with my goal of piecing houses for my Village project from my Bonfire Sampler project. Next up, the APQ Quilt Along, It All Adds Up. Have you started your project yet? I've seen some great finishes on Instagram, #apqquiltalong. I've had a fun and productive sewing week. 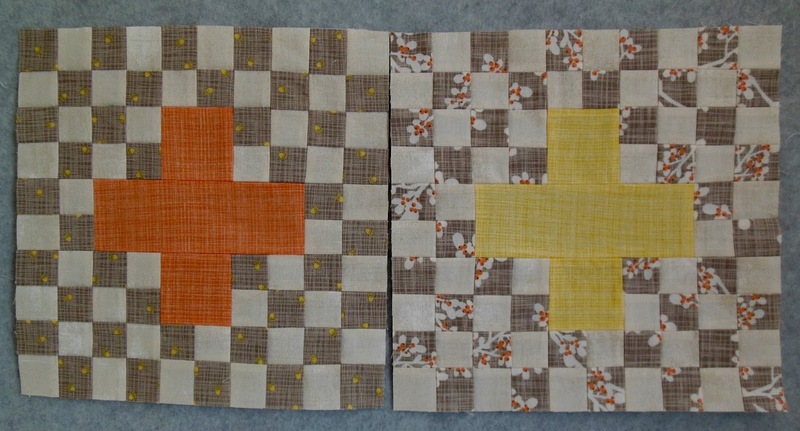 I made the larger border blocks first, to avoid being short on fabric after piecing the sampler blocks. My design wall is 90" x 90". 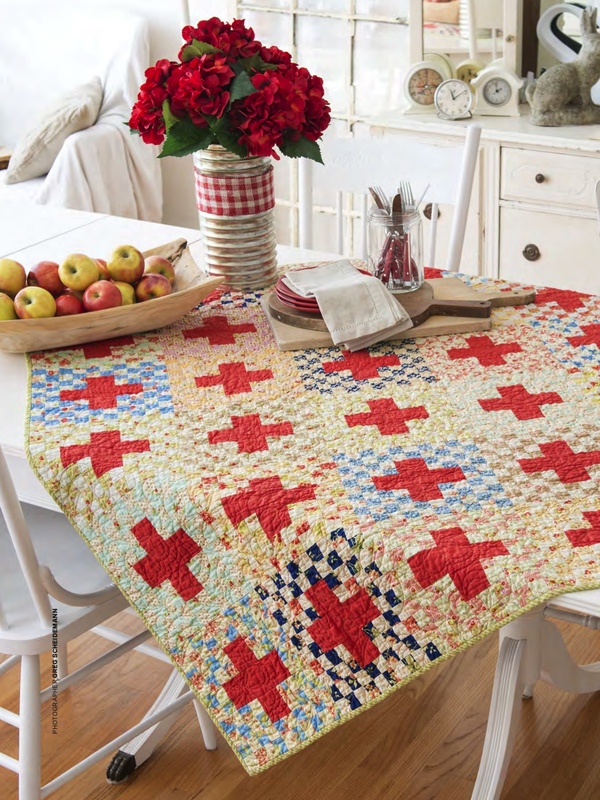 The pattern offers two size options, 9" or 12" finished blocks. I decided to go with the 12" version. 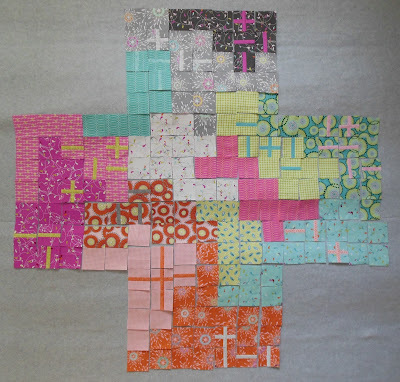 And here are all the pieced sampler blocks. There are several blocks to choose from in the book, I maybe used 1/3 of them. All that's left now is to add the sashing and the borders. Just in case you missed my last blog post, the fabric is a combo of Valley by Sherri and Chelsi for Moda and Basic Mixology by Studio M for Moda.